Baluchistan is a vast yet sparsely populated province of Pakistan, wracked by tribal feuds for decades. Suddenly it was turned into a volatile region by employing proxies. The Balochistan Liberation Army (BLA) was founded in 1999 and was the main faction, being involved in terrorism, kidnapping for ransom and bomb blasts. It was declared a terrorist organization by the Pakistani and British governments but not the United States. Militant groups emerged and appealed to Washington for support and opposed China’s building of the port at Gwadar. They accused Pakistan of not spending money on development projects in Baluchistan and using the provincial oil and gas reserves. If this was true why were Gwadar and Ormara being developed to bring prosperity and jobs to Baluchis? The vagrant tribal leaders were used, and were all given sanctuary in places like Switzerland and London where they maintain a lavish lifestyle. Some Pakistani television channels were employed to spread the so-called ‘movement’. The same channels also had newspapers which were employed for the same reason, a few anchors and Tarek Fatah, a Canadian journalist, the main champions. Their tactics were to blame the army for violence against tribals when in fact the Pakistan army has never been deployed to control the Baluchistan scenario. Only Rangers and other law enforcement agencies have been used to keep law and order in the province. The strategy was to try and involve the army and create a situation akin to that which was created in Libya. Hue and cry was raised about missing persons, the majority of such were actually those who had gone to join the BLA. Social media was also used and Amnesty International was contacted by these overnight secessionists. For the future, the situation in Afghanistan seems unstable as UN /US sanctions on Iran are unlikely to be lifted for many years, so the China -Pakistan route would be the best option for Central Asia. This is where Baluchistan plays a pivotal role and this is why some tribal leaders were financed to make noises for secession of the province. 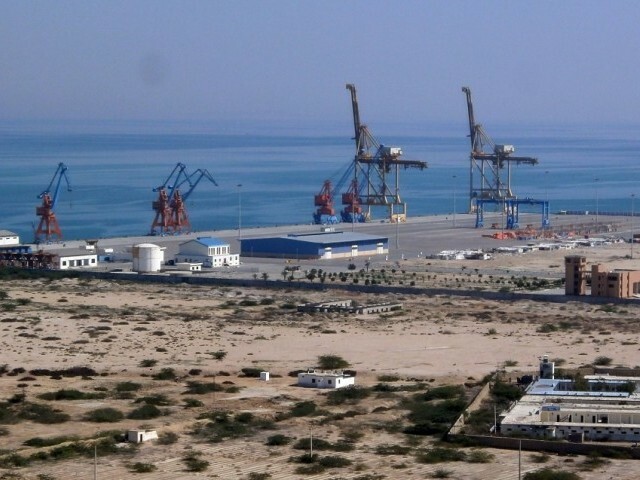 This insurgency was engineered to prevent Gwadar port from becoming operational and connect China and Pakistan as an international trade corridor. The plan was to deny Baluchistan to Pakistan by creating an internal artificial mess. Gwadar’s development will also integrate the Kech region/Turbat into the national mainstream due to its proximity, with the region decreasing the effectiveness and appeal of the Baloch mercenaries masquerading as aggrieved nationalists. The US, India and UAE have been financing and training mercenaries to make the emergence of Gwadar impossible. Pakistan had been sharing proofs of Indian involvement with Delhi since 2006 under the anti-terror mechanism. Prime Minister Singh had been shown proofs also in 2009 at the Sharm El Sheikh summit by then prime minister Yousuf Raza Gillani. The Baluchistan issue was discussed at length but India did not end its support to BLA and the Baloch Republican Army (BRA). RAW has been providing arms and mini fortress type of establishments to the militants as well as providing arrangements in exile. 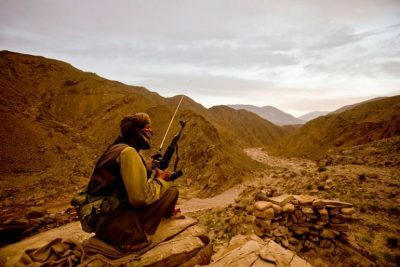 Baluch leader Mengal has admitted there is foreign involvement in Baluchistan militancy Separatist Groups such as the Baluch Republican Army and Baluch Liberation Army and have upped the ante since the death of Bugti in 2006 with foreign funding. The interests of India and US converge on this issue and they are funding the insurgency so that Pakistan remains unable to build rail and road infrastructure in Baluchistan which is essential for port operation. The issue of “missing persons” is a part of the game plan which is pressurising the apex court to indict the security establishment. UAE has its own interests in Baluchistan and Gwadar port as it will undermine the commercial interests by taking trans-shipment business away from the port of Dubai. UAE is also one of the financiers of the BLA. The notorious Shamsi Air Base in Baluchistan was built by UAE Sheikhs and handed over to the US. Baloch insurgents often claimed that they receive financial support from Dubai . BLA has a strong presence in Dubai, Switzerland and Afghanistan and UAE’s intelligence agency is working undercover to support the insurgents. Gwadar would lessen the importance and growth of Dubai as well once it is launched as a free economic zone. Its natural layout and depth will enable the largest tonnage ships to dock there, a characteristic absent in Dubai and Chahbahar. The US has refused Pakistani requests for the Baluchi militants to be placed on a list of terrorist organizations. 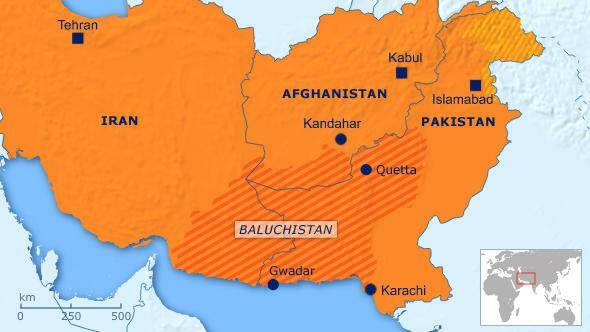 Sections of the US political establishment have even raised the possibility of supporting “Baluchi self-determination” to warn Islamabad not to tie itself too closely to Beijing. 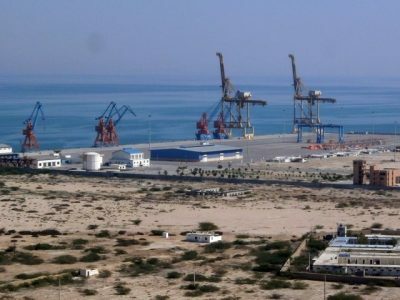 US Congressman Dana Rohrabacher introduced a resolution in the US House of Representatives calling upon Pakistan to recognise the Baloch right to self determination, this being one year before Gwadar was handed over to China by the Pakistan government when the Baluchistan insurgency reached its peak. In February 2013 Gwadar was handed over formally and Dana Rohrabacher went wild the same month demanding a referendum in Baluchistan. So Kashmir never came to his mind where one million of the Indian army wreaked havoc refusing to carry out the referendum specified in a UN resolution many decades ago? Ignoring Indian war crimes in Kashmir and other provinces, targeting Pakistan for their own ends; that is the United States. The US is nakedly complicit in the whole Baluchistan affair. This is irresponsible, blatant interference. A few American personalities are heavily involved in the imbroglio, Professor Christine Fair being one of them. 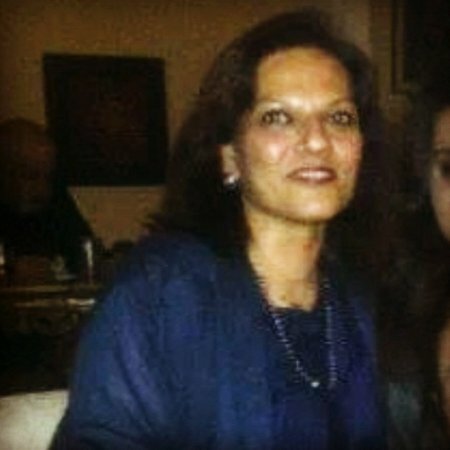 Her accusations against the Pakistan army are hysterical and jingoistic, although not much attention to her is paid much importance in the US. She is so biased against Pakistan it is almost funny. Baluchistan and Xinjiang are the largest, least developed and restive provinces in Pakistan and China. A certain Uighur factor was also introduced. Most Uighurs practice a moderate form of Islam, are politically disorganised and have not made any clear political demands. In 2006 the US captured some of them from what it says are AfPak combat zones, shortly after that they were suddenly claimed to be in Pakistan’s tribal areas, most probably placed there. After this most of the terrorism in China was blamed on them, even the recent Kunming knife attack, some news sources even linking them up with the Malaysian airline mystery. So in other words, this is the plan to spoil Pakistan/ China relations. Another recent development involves an Uighur vowing revenge on China, hiding in secret mountain bases on Pakistan’s border with Afghanistan. Uighur fighters amount to just a couple of hundred but both the Pakistani and Chinese governments have to understand the game makes joint efforts to crush them. Efforts were made by vested interests to create a rift between both countries with terrorist attacks, this by the kidnapping of Chinese engineers and attempting to establish links between militants in Baluchistan and Xinxiang. The militants had increasingly targeted Chinese engineers and workers as planned by their masters. The players of this game have under estimated China which would see Gwadar through and bring a new era for Pakistan. Pakistan’s long term strategy is much more substantial than India’s in the long run and Gwadar is a huge game changer. As of now the situation in Baluchistan is under control; it is peaceful and on the way to prosperity. It would not be wrong to say that right now the Baluchistan insurgency only exists on social media where it is propagated with fake Baloch IDs with Indians, Tarek Fatah and the ubiquitous Christine Fair cheering it on. I feel Baluchistan has suffered most at the hands of its tribal chieftains and that Gwadar and the other projects would ultimately empower the common man and release him from the irrationalities and injustice of tribal rule. Lawyer by education, writer and observer at large. For most up-to-date news you have to pay a quick visit world-wide-web and on world-wide-web I found this website as a most excellent web page for newest updates.